On November 16, 2018, the Cambodian and international judges of the Extraordinary Chambers in the Courts of Cambodia (ECCC) ruled that the former Khmer Rouge regime headed by Pol Pot had perpetrated genocide in Cambodia while it held power during 1975-1979. 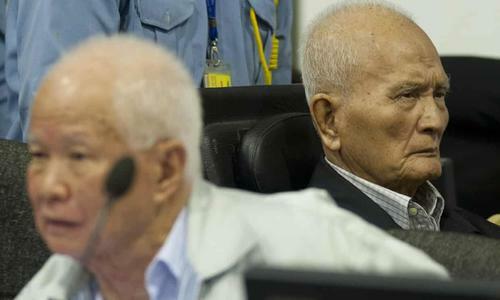 The court convicted Pol Pot’s former deputy, Nuon Chea, and the Khmer Rouge regime’s head of state, Khieu Samphan, of genocide of the ethnic Vietnamese minority of Cambodia, and also convicted Nuon Chea of genocide of the country’s Cham Muslim minority. Both men were also convicted of extermination and various other crimes against humanity, and were sentenced to life imprisonment.